You can help by supporting the Cornell Recognition Campaign and urging your friends and neighbors to join in. 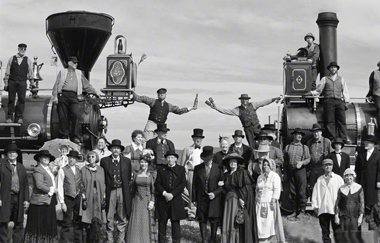 Read about Cornell's history on this site, sign our on-line petition below, contact us, lend us a hand and your heart. Helping Cornell's visibility is simple! Use Cornell in your address. 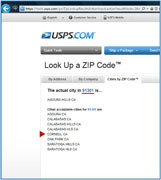 The United Postal Service has allowed those living in the area seen on the map on the "About" page here to use Cornell, CA as their mailing address for over 50 years. 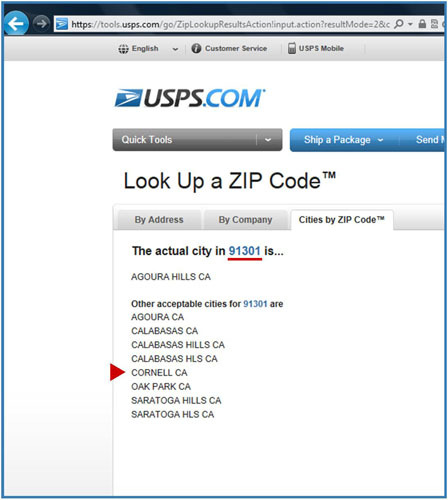 When you type "91301" into the ZIP code search function on the USPS.com website, Cornell appears as an official and recognized place name. Using Cornell as a mailing address will help it gain visibility and acceptance among the thousands of databases in use by companies, agencies and organizations. The founders of the Cornell Recognition Campaign have been using "Cornell" exclusively for decades without any mail interruption. Show your support for the Cornell Recognition Campaign! Raise your hand and sign our petition below. We'll keep you posted as the campaign progresses.